On the morning of November 6th, we headed south to San Diego. 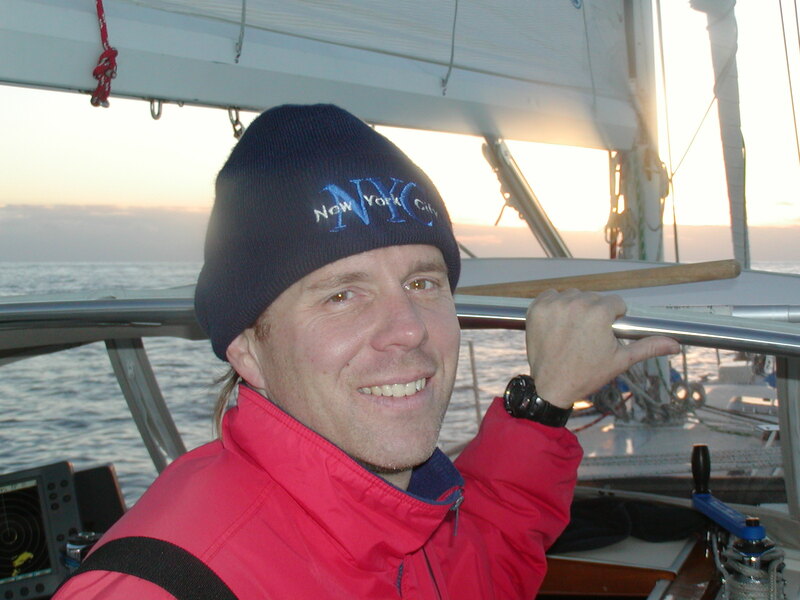 This 13 hour trip was done motoring as the wind was not conducive to sailing. We left before dawn, which is my favorite time. We had cool weather as it is winter here in Southern California. We got in to San Diego, and rounded Point Loma and headed for the beautiful San Diego Yacht Club. While in San Diego, we have had many visitors: John and Pat Periolat, Letitia's parents, came to play for Thanksgiving. Letitia's cousin Brandy and her two boys, Parris and Ty, our god-children, came down to drop Kelvin and Meagan off after they went to L.A. and spent the night at her house. Tom Hickman and his architect, Mike, came last week to show us plans for the new house in Virginia. Finally, for Christmas, Mark's dad, Kelly and his Uncle Milton will be coming down for Christmas Eve. We can't wait! The boat is all decorated and the gifts are all bought and ready to go! 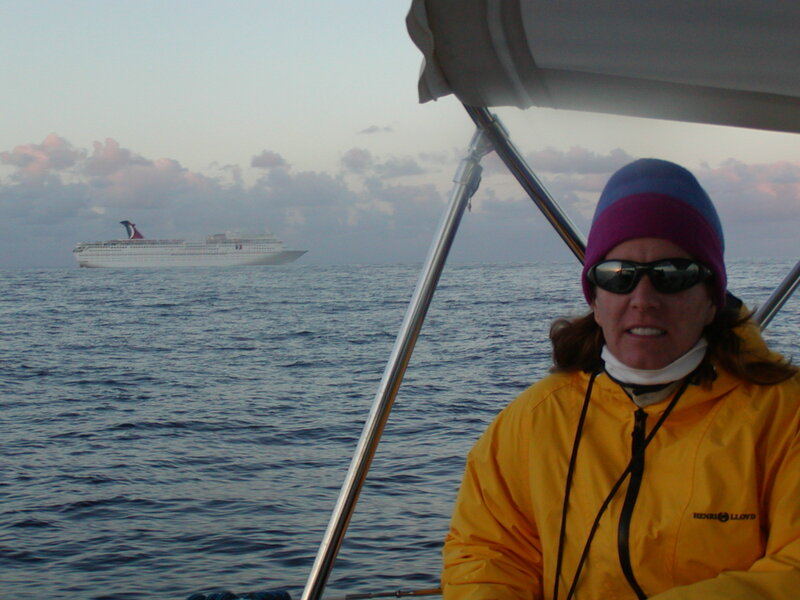 Note the cruise ship! We did, at the crack of dawn when leaving Avalon. The difference in our circumstances was certainly not lost on us! San Diego at the marina has a lot to offer the patriotic. This is the USS Helena returning from the Persian Gulf. She is being escorted in. 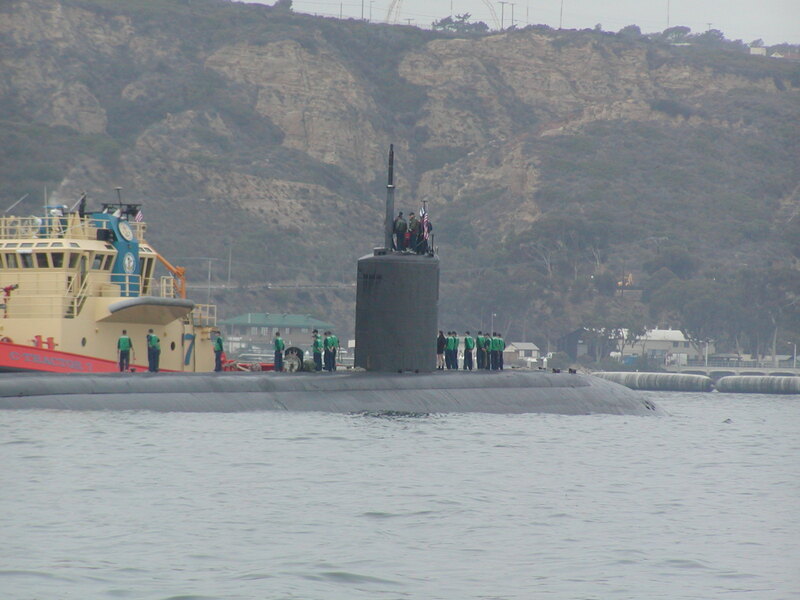 We almost ran into her when we didn't realize the tug in front of her, coming straight at us as we left San Diego to dump our tanks at sea, was trying to keep us away from the nuclear sub behind her (we couldn't see and the tug kept veering toward us). When it turned on its lights and we saw the tower, we realized we were a slight security risk. It took some time to veer far enough away to appease NAVAL SECURITY!